Which is stronger: habit or willpower? A new study suggests that habits may be more important than willpower in the effort to change. This is great news for those of us who feel our willpower is liable to flag under pressures and temptations. Habits persist even when we're at low energy and weak self-control. As reported in the IDEA Fitness Journal (September 2013), scientists at the University of Southern California conducted five studies to examine whether habits could improve or undermine goal achievement. They found that people tend to default to a habit when they lack the mental capability to make a choice, for example if they are deliberating about whether or not to exercise. 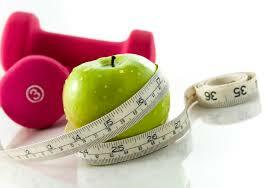 If the habit of exercise is part of your normal routine, then you default to doing it. This applies equally to unhealthy habits: If your tendency is to eat junk food, you'll revert to this behavior when stressed or tired. Over the last 25 years of my career, numerous people who are in the habit of exercise have told me that they can't live without it. Both the mind and the body become attuned to the myriad of benefits that an exercise routine delivers and feel out of sync if it is interrupted. Consistency is more important than intensity. Each day you should eat and exercise in such a way today that you can face doing it again tomorrow. This is how to gradually establish healthy habits that will serve you throughout life and that you will revert to when life becomes hectic.